Behind the scenes mama Katerina creates her special tastes, which luckily for us she shares with more than just her family. 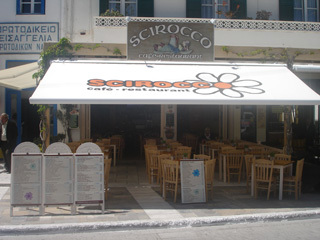 Her sons, Nikos and Michalis will make sure that you feel right at home, just like they do. Breakfast served from dawn. Open all day, serving delicious Greek starters and dishes, fresh fish, grilled meat and much more...plus the best hot choco pie with ice cream! !